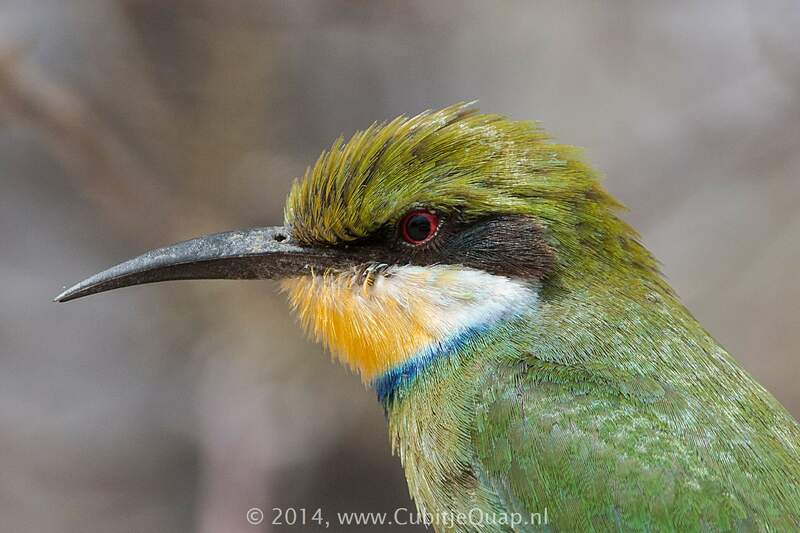 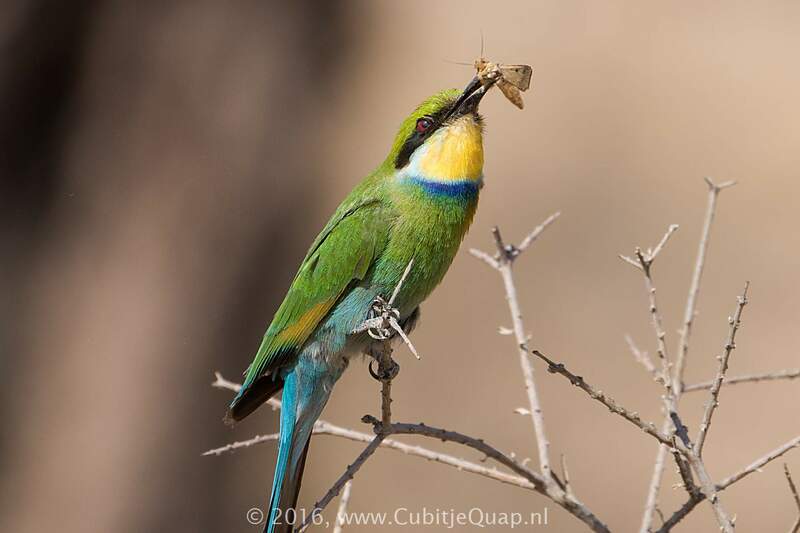 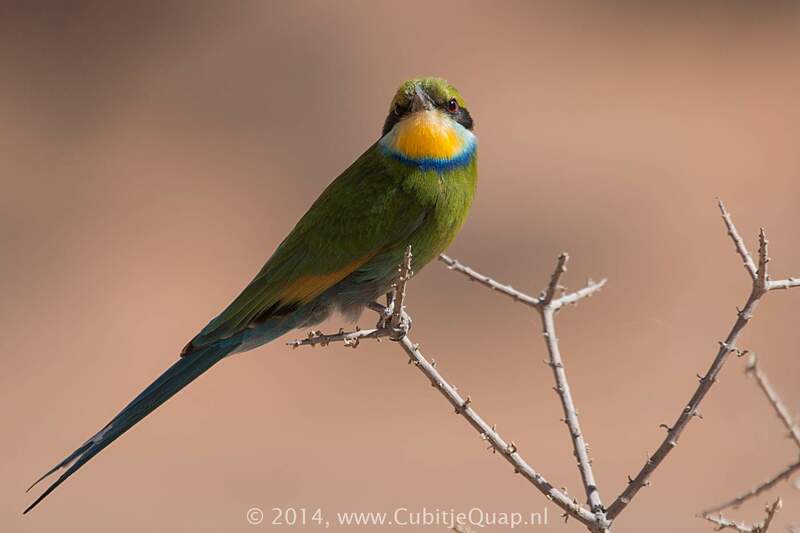 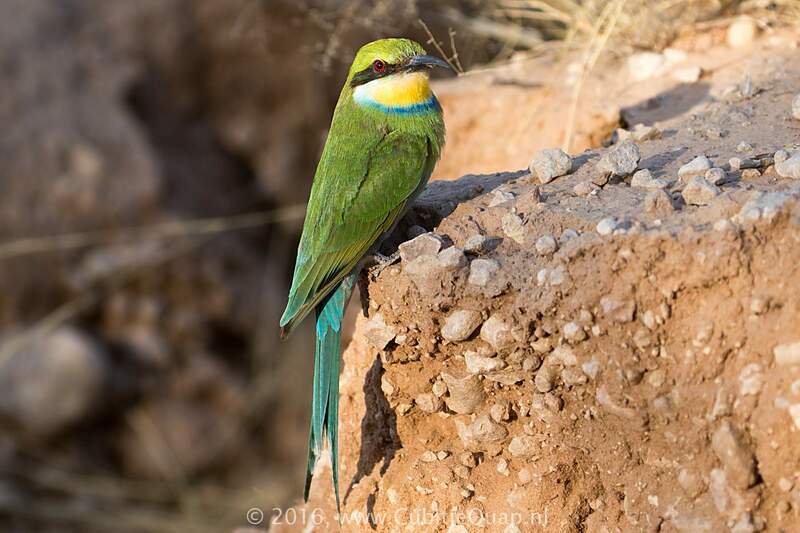 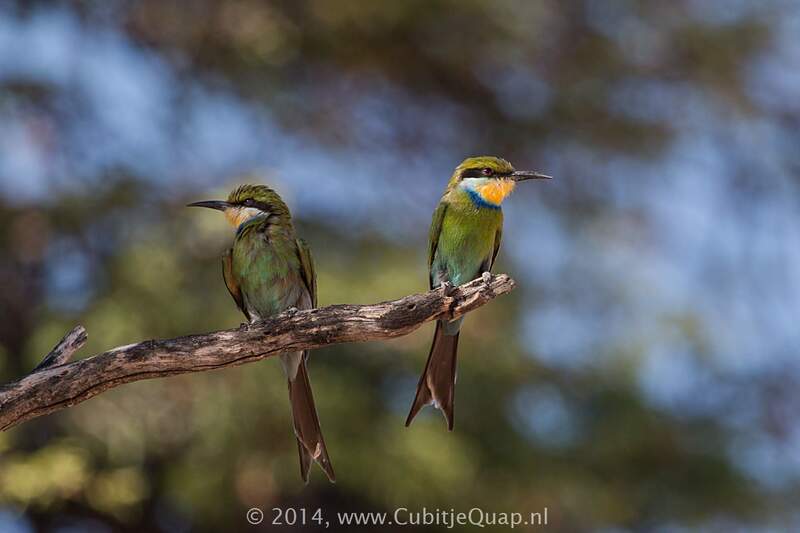 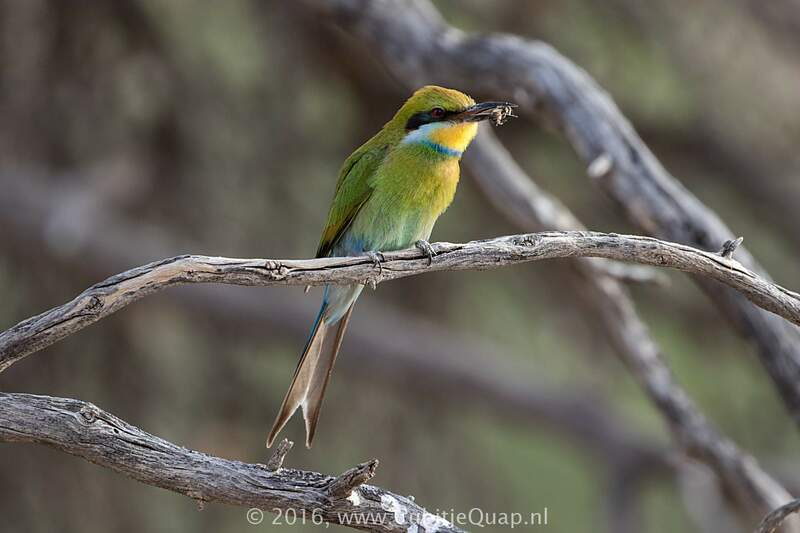 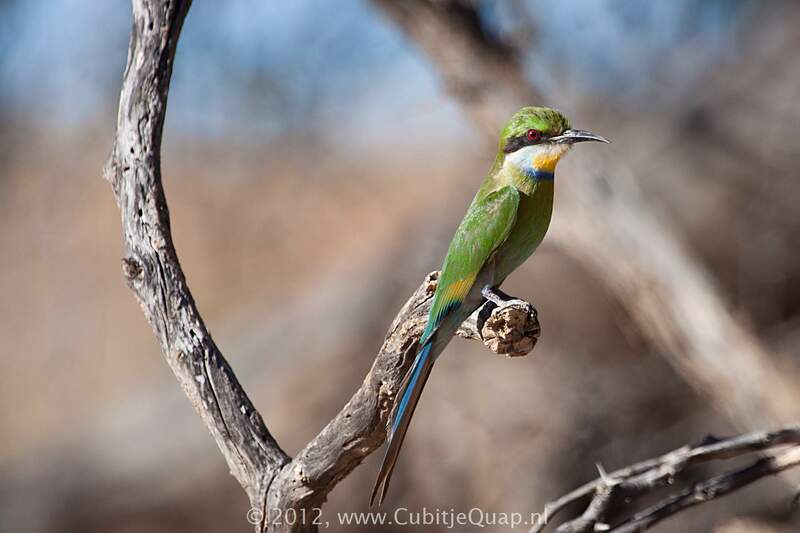 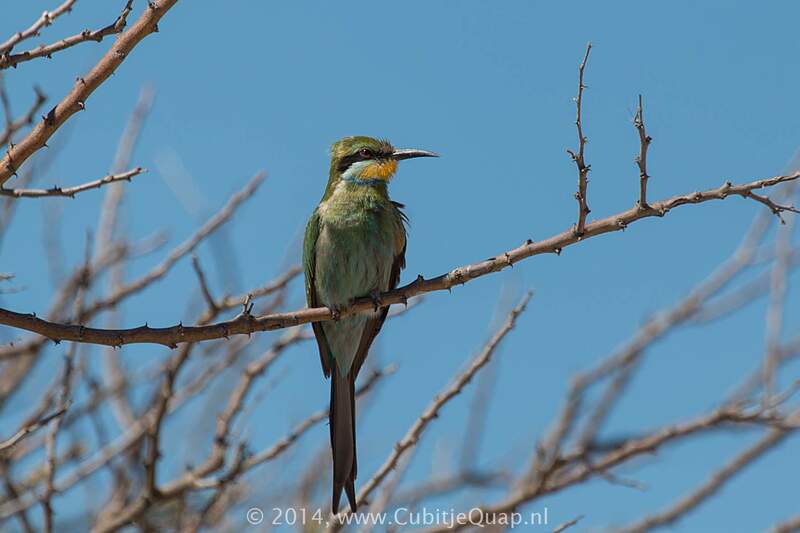 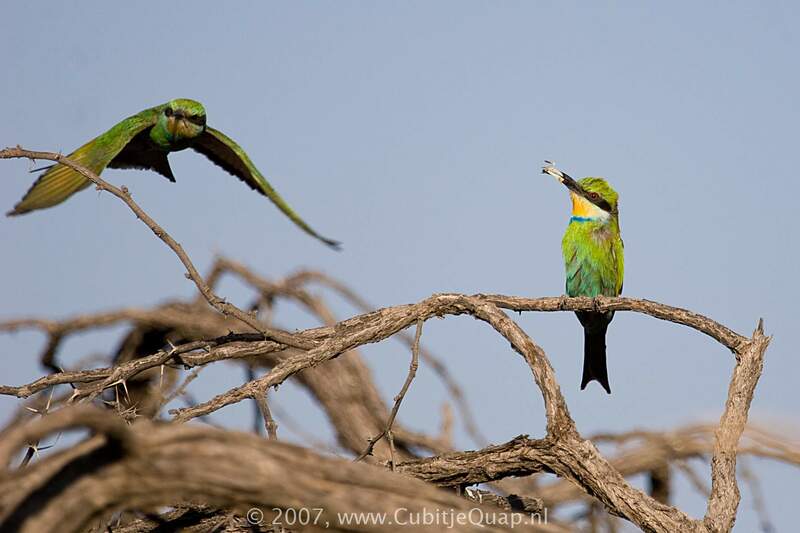 The only bee-eater in the region to have a forked tail. 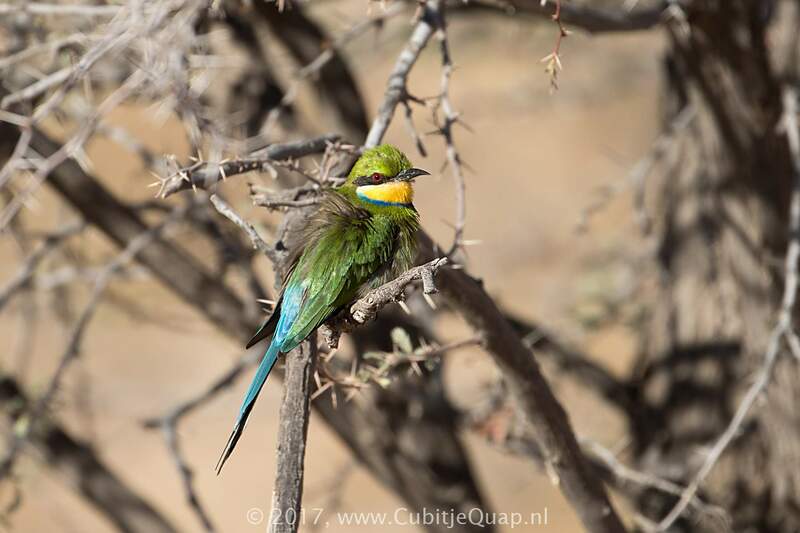 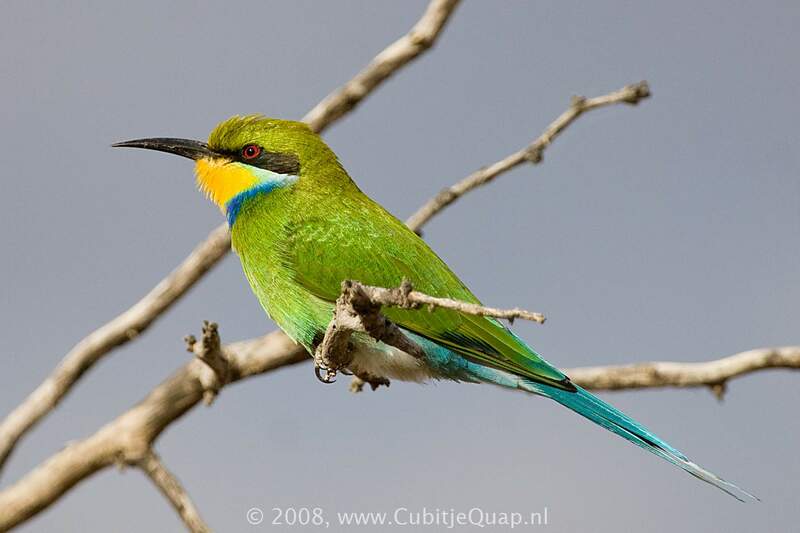 It is most likely to be confused with Little Bee-eater but has a blue (not black) collar, blue-green underparts and blue, forked tail. 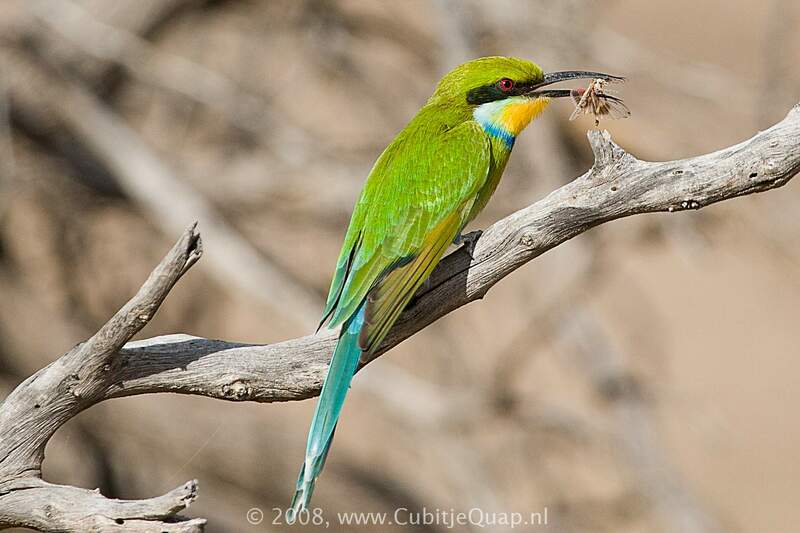 Juvenile shows the diagnostic forked tail but lacks the yellow throat and blue collar. 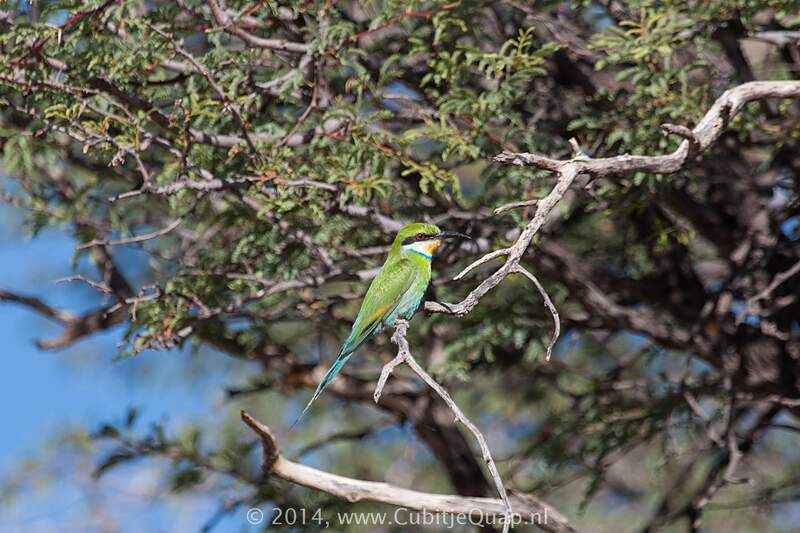 Diverse: from semi-desert scrub to forest margins. 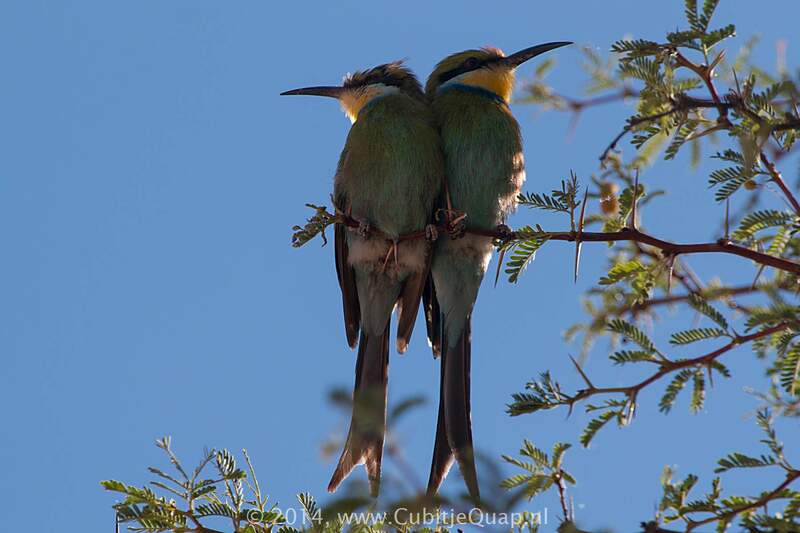 A 'kwit-kwit' or a soft twittering.